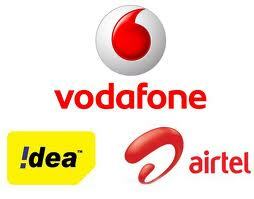 Airtel, Idea and Vodafone recently announced a massive reduction in there default data plans. The new data plans will be as follows..
Applicable Circles (9) : Maharashtra, Madhya Pradesh, Gujarat, Kolkata, UP East, Haryana, Kerala, Punjab and Orissa. Old Rates : 4p/1kB or 2p/1kB. Reduction : 90% to 95%. Applicable Circles (8) : Karnataka, West Bengal, Tamil Nadu, Chennai, Kolkata, Assam, North East, Bihar, and Orissa. Applicable Circles (8) : Madhya Pradesh, Chhatisgad, Karnataka & UP West. such as yoս wrote the e-booƙ in it or something. sir, is there any code available for Idea Prepaid Kerala Tariff to check the information of the sim owner.